The official Clergy Ancient tartan! In the days of yore, Clergymen were encouraged not to wear red or green, hence the neutral Clergy colors of blue black and light gray. For men of the cloth, or men who just like this cloth, you’ll appreciate the subtle colors of this historic pattern. Sports Kilt changed order from Clergy Tartan to Army Tartan at my request. This kilt is light and durable. Would prefer elastic in back not be as binding over a short period of time. Great looking Clergy tartan k8lt arrived promptly and the fit and finish was excellent! Just what I expect from Sport Kilt. Thanks again for another awesome kilt. Love my first kilt! It fits great and comfy! Will be buying another here in the future! This is not the first Kilt that I have purchased from you, and I do believe the quality continues to get better! I wore mine to a wedding that I performed and everybody commented how wonderful it looked. It certainly will not be the last Kilt I purchase from you! Great workmanship, comfortable fit, excellent service — ten days from order to arrival, half of which was the unavoidable delay of international shipping. Highly recommended. This is a great kilt! Super fast service, reasonable prices & very friendly people to deal with. I received this very quickly after ordering. It is very comfortable and the material seems very high-quality given the relatively low price. 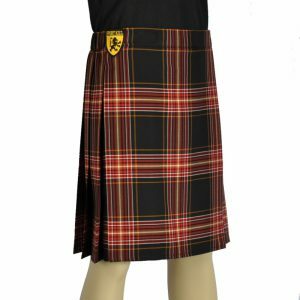 I have ordered two kilts already, and plan to buy one or two more. Highly recommended. Great kilt at a great price! 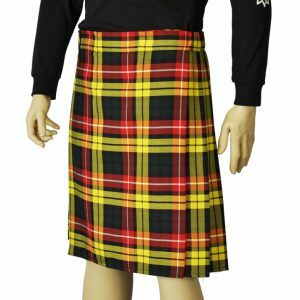 I found sport kilt on line through a google search when looking for a kilt for my husband. I didn’t what kind of quality to expect for the price (which is much lower than most places) but was very very pleased. The quality is wonderful! It’s easy to care for, wear and looks great on my husband! He’s gotten tons of compliments and already wants a second kilt! Thanks for making such a great product at an affordable price. I’ve recommended you guys to all our friends! I am a loyal customer! The quality and customer service speaks for it’s self. Greats Kilts…Thanks!!!! I now have two Sport Kilts and I am wearing a kilt to work at least once every week. The Sport Kilt is dressy enough for just about any occasion while being extremely comfortable. I am a Christian pastor and one member of our choir asked if she could put on her facebook that she saw her pastor in a kilt. Why not? Anything that helps get the word out. I have enjoyed wearing my kilt to work, business meetings and various other activities. While folks aren’t too sure what to make of it, I’m not bothered by their comments. My youth group thinks the kilt is really cool.